Describe your average day: Days off, are very far between! But most days off I go out with friends, catch up on chores around home, riding, camping, jet-skiing, etc. What do you do on your day off? Sleep in! Followed by riding Indie and spending time around the property with my dogs. Afternoons are generally spent sitting with the birds in sun. Henry - A 2010, 16.3hh Bay Thoroughbred Gelding who I purchased off the track in April 2016. He has had a fantastic start to his eventing career coming through the grades really well! He is very flash in the dressage phase and has a ridiculous jump! Elroy - A 2013 Kenlock Park paint Warmblood standing at 17hh and growing.... (will it stop lol). Elroy is only new to eventing but showing so much potential! Competing in his first ever EvA80 at Tamworth in May 2017, finishing on his Dressage score for 2nd place. Kenny - A 2004 Chestnut Thoroughbred gelding, that I sadly had to retire early this year due to a paddock incident. 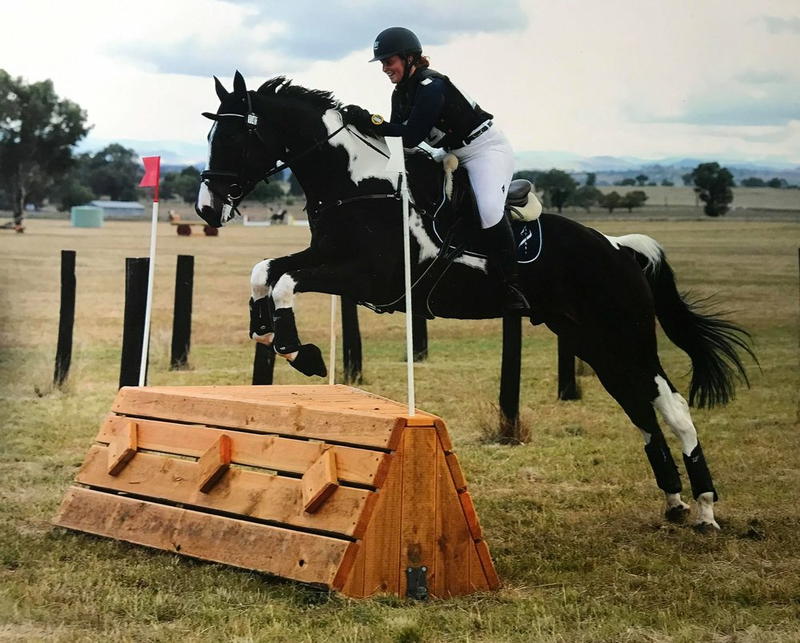 Kenny was purchased off the track as a 5yo and took him through the eventing grades to 1*. Kenny was so bold in the jumping phases and had great scope too. A bit cheeky on the flat though! But definitely taught me a lot! Always kept me safe and bought me home, and that my Mum is forever grateful for. Best thing about your horse: : I feel very privileged to have such great competition horses at the moment. Henry, he is just awesome, a bit of a character but such a cool pony to take out eventing! Elroy, he is the young Kenlock Park, paint warmblood, he just has the best nature and is so quiet....Like ridiculous!! They are both superstars in their own ways! 2019 Horse Goals: With everything going the way it has, I would love to continue taking the horses up the grades. Planning for a few more trips down south to Sydney & Melbourne 3DE. Biggest achievements to date: Last year we were award AAOR novice leader board champion and received the Pat Dale memorial award. In 2017 we were also awarded the Dilutes Australia Dressage horse of the year 2017.